Today’s ride was a long one over 230 km, I started in the morning in Aalestrup were I had stayed at the Hotel Simested Kro. I had a great nights sleep, woke up early had my breakfast – that is what I like staying in small hotels or B&B – you always have a breakfast option. Some hotels and B&B charge extra for breakfast, I try to book the places which includes breakfast as part of their cost of a room. A good healthy breakfast gives you a good start to the day and the foundation for a long ride. One thing to say about Hotel Simested Kro – it had a very 1970 look to interior design, wall to wall carpets in bright colors, brick walls, fake wood panels all things of the 1970’s, and the top it off, during dinner last night they put music on the speakers, and all 1970s songs. I kind of enjoyed it. Aalestrup were I started the day is the home of the Danish Cycle Museum – unfortently the museum is not open on a Monday so I could not visit. I took of at 8:00, the sun was out it changed when I came to Viborg when it got cloudy and stayed so the rest of the day. No rain the whole day, such a good feeling. Viborg is one of the oldest cities in Denmark, with Viking settlements dating back to the late 8th century. From Viborg I took the Alhedebanen – it is a old railroad track that has been converted into a cycling, hiking and riding route between Viborg and Herning. It goes over the flat treeless Alhede, that how it got it’s name. It was the highlight of the day, I was far away from any cars, buses and trucks, me with the nature and a few runners, cyclists. They should do this more convert old abandoned railroads. I got to Herning by lunch time, got some time to look around, Herning is a centre of Danish cycling. The GP Herning is a professional bicycle race held annually in Herning. The 2012 Giro d’Italia started in Herning. From Herning I rode to Grindsted through small villages on backroads, from Grindsted I headed to Skærbæk, in Skærbæk I had two choices I could ride to Tonder near the German border or to Rømø which is an island, which lies in the Wadden Sea about 6.5 kilometres from the mainland. From Rømø there is ferry service, the German island of Sylt, less than 4 kilometres south of Rømø. 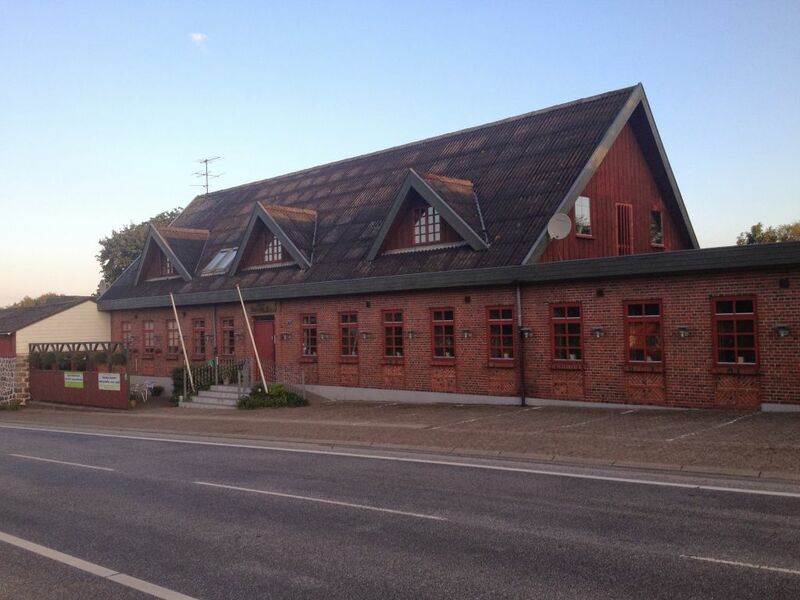 The choice came down to hotel availability, found a room in Abild just outside Tonder. I got the at 20:10 in the evening, 12 hours bike ride from the start of the day. Here is the route I took.